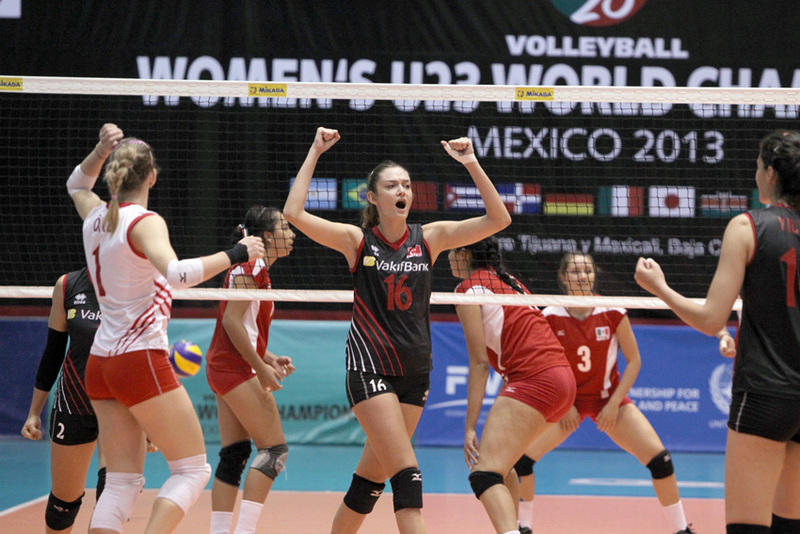 The first edition of the FIVB Volleyball Women’s U23 World Championship Open will take place in Tijuana and Mexicali, Mexico from October 5 to 12, 2013. The rest day is October 10. The competition FIVB Volleyball U23 World Championship Open consits of two rounds, with 38 matches in total. The first round (Pools A and B) will play in 30 matches, and the second round (Semi-Finals and Finals) consits of eight matches. Pools A and B are composed of 6 teams each and in each pool the teams will play a Round-Robin system to redetime the ranking and will be classified from 1st to 6th. Pool A consits of: Mexico, Japan, Italy, Dominican Republic, Turkey and Argentina. Pool B conists of Brazil, USA, China, Germany, Kenya and Cuba. The team ranked 3rd in Pool A after the preliminary round will play against the team ranked fourth in Pool B. The team ranked 3rd in Pool B after the preliminary round will play against the team ranked fourth in Pool A. The losers of the semi-final matches will play for 7th and 8th final places. The winners of the semi-final matches will play for 5th and 6th places. The team ranked first in Pool A will play against the team ranked second in Pool B. The team ranked first in Pool B will play against the team ranked second in Pool A. The losers of the semi-final matches will play for third and fouth place. The winners of the semi-final matches will play for first and second place.